James Cleland Richardson was originally from Bellshill, Scotland, before moving to Vancouver. 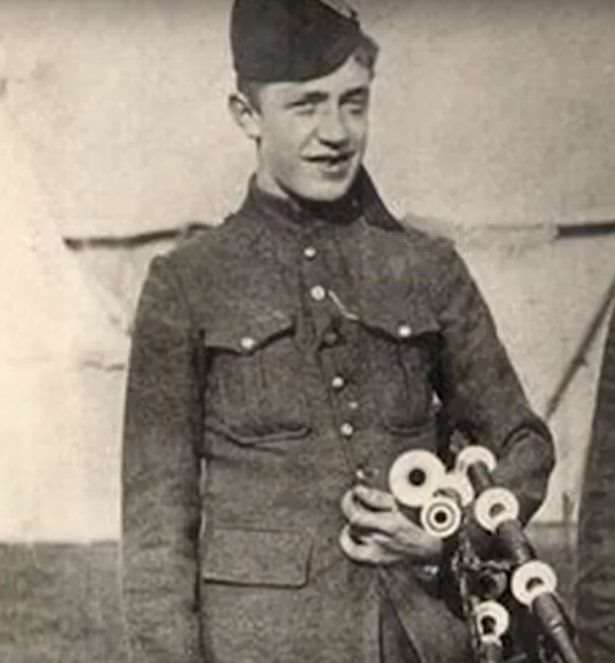 He was a piper in the 72nd Seaforth Highlanders, Canadian Scottish Battalion who fought and died at Ancre Heights on the Somme. During the battle on October 8, 1916, at Regina Trench, the battalion was instructed to go “over the top” and rush a fortified German position. Going “over the top” was military speak for climbing out of your trench and running head-on toward the enemy while being met with a shower of bullets, artillery, and grenades—one of the most suicidal tactics ever used in warfare. Encountering heavy fire and a line of barbed wire, the assault was halted, casualties mounted, and morale quickly dwindled. 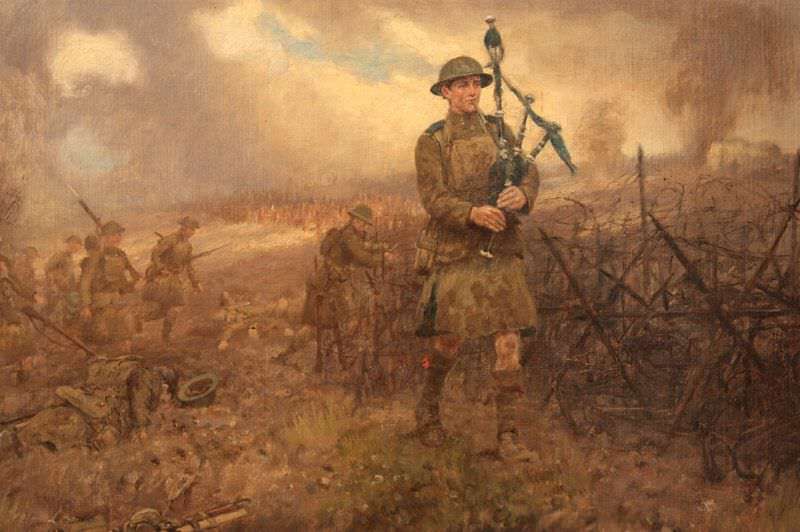 It was at this critical moment that Richardson stood up and began playing his bagpipes, walking up and down in sight of the bewildered Germans. This act of bravery so inspired his comrades that they immediately continued their assault and captured the enemy position.Later that day, Richardson was escorting a wounded soldier and a number of German prisoners when he realized that he had left his bagpipes behind. He went back for his glorious instrument and was never heard from again. James was 20 years old. Piper Richardson’s remains were found in 1920 and he is buried at Adanac Military Cemetery in France. Richardson’s bravery earned him a post-humous Victoria Cross. His pipes were found on the battlefield in northern France and gifted to Ardvreck School in Crieff. In 2006, they were identified as belonging to Piper Richardson and were repatriated to Canada, where they were put on public display. Heroic with a capital H!! Utmost respect to the man.